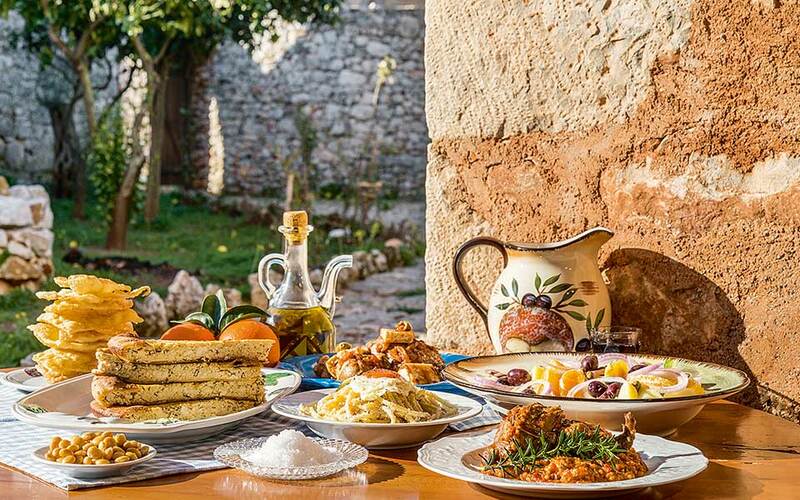 A table laiden with local specialties in the Mani region of the Peloponesse. Greek cuisine, originally based on availability and freshness, went through the inevitable stage of disowning its roots, only to rediscover them and take them a step further. It’s how it all began, in Greece as in every part of the world − in Italy, they would go on to call it “cucina povera.” People ate what they had on hand: dried grains, pulses and, depending on the season, different vegetables and fruits. If they lived near the sea, they also ate fresh fish or salted it for later consumption. In communities that raised livestock, they smoked and preserved meat, and also enjoyed fresh meat (stewed, boiled or roasted) on special occasions and at celebratory feasts. There was little variety, especially in the winter months and in colder areas. Ordinary people, cooking at home in towns or in villages, ate what was available, and only a few of them thought of themselves as poor. Composite dishes that could be baked unattended in the wood-fired bread oven without drying out used dough as a sealant, mostly in the form of filo. Pitas, or pies, with various fillings continue to be extremely popular today. What is unusual in Greece is that most of the everyday dishes from those days have survived (with very few changes) in the kitchens of today’s homes and tavernas. At least three out of ten Greeks, myself included, will tell you that their favorite dish is fasolada, a soup made with dried beans, onions, carrots, celery, parsley, tomato and olive oil. 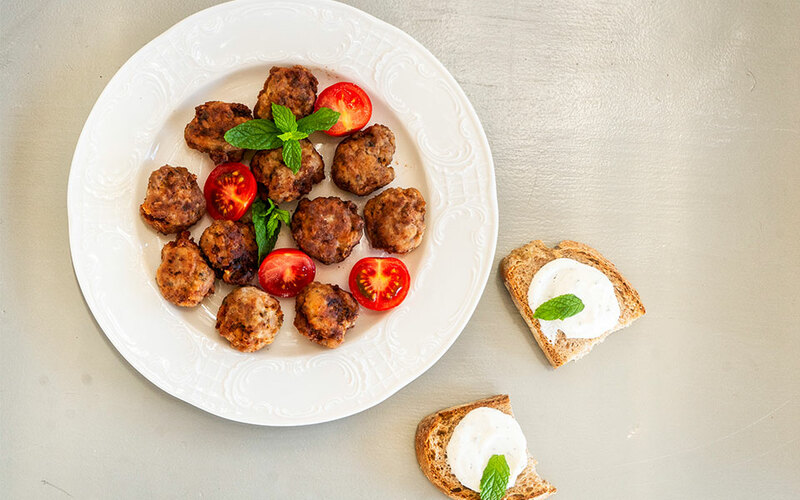 When I was a child in the 1950s, meat appeared on the table perhaps a few times a week in our middle-class urban home, usually in the form of ground beef to be used for meatballs or pasta sauce. Roast chicken or a veal pot roast was a Sunday treat, as was the one dessert course we ate per week. But while much has remained consistent over the decades, Greek cuisine was subject to an evolution that mirrored the history of the modern Greek state. The first great change came in the 19th century when, in the newly formed nation state of Greece, which had become independent from the Ottoman Empire, an urban middle class of merchants and clerical workers with access to the European world began to emerge and to aspire to a more sophisticated life. People started to travel, and hotels in the larger cities had to provide food for Western visitors who found existing Greek food “heavy”. Within this new society, the notion grew that “Western” – which at the time meant French – was better. If a dish was French, it was necessarily tastier, healthier, and certainly socially more acceptable. This movement was consolidated at the beginning of the twentieth century around the figure of Nikolaos Tselementes, a young cook with a middle-class background who traveled to Vienna to serve a three-year apprenticeship before moving to the US, where, for several years, he worked in some of the best restaurants of the time. Upon his return to Athens, he became active in spreading French cuisine, first through a monthly magazine and then with an authoritative cookbook that is still in print. Throughout the twentieth century, this cookbook was the kitchen bible of every middle-class housewife. (Over a long series of reprints, some of the foreign ingredients listed in recipes were Hellenized). The fundamental divide between French cuisine and Greek home cooking at the time was intricacy versus simplicity. The contrast between complex tastes and simple straightforward ones centered on the use of sauces. In practical terms, ingredients like butter and cream were introduced; in combination with reduced stock, they created a new culinary element. Simple grilled meat or fish, when dressed with a sauce, became more foreign and elegant. 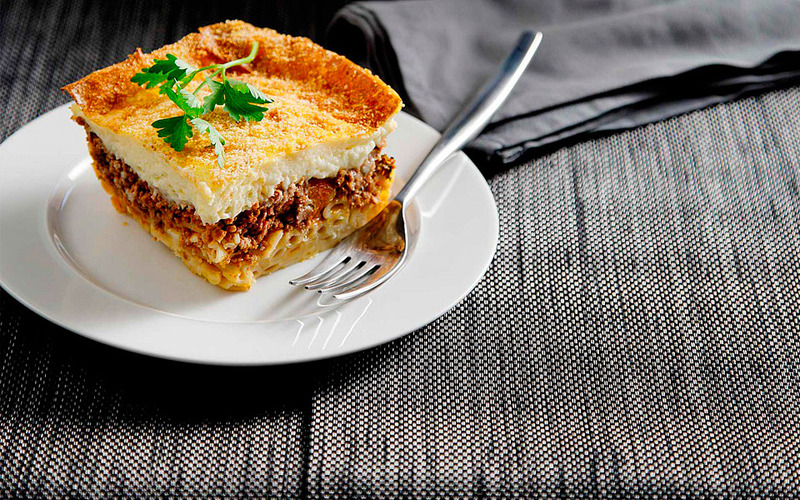 One sauce in particular, béchamel, was to drastically alter even everyday Greek dishes. As a gratinée topping combined with grated cheese, it came to complete composite dishes like pastitsio and moussaka and even simple vegetable dishes like steamed cauliflower or broccoli. Used in this way, bechamel came to open up new possibilities of baking: it was a new way to “seal” dishes to retain moisture. It was then that these dishes, which have subsequently come to be considered typical of Greek cuisine, were established. Incidentally, it was béchamel, this time with added broth and cheese to form a suprême sauce, that helped create perhaps the most representative of the new urban dishes, one that became a worldwide favorite: poached chicken with rice smothered in this sauce. For some reason, in Greece this came to be called Chicken Milanese, though it began life in France as poule au riz. Once again, small family companies are producing terroir-specific cheeses and charcuterie, items that had disappeared from the market. At the same time, by the turbulent early years of the 20th century, Greece had doubled in size and acquired a second large urban center, Thessaloniki, a teeming metropolis where the population consisted of Greek, Jewish, Turkish and Bulgarian communities. Their cuisines influenced each other, with herbs, spices and other ingredients being shared around, giving birth to brand new dishes. All these novelties, born here, traveled to the rest of Greece as well. Thessaloniki, however, was an exception in northern Greece, which has a landscape and climate that differs from the rest of the country. The plains are more fertile and plentifully irrigated by two large rivers, so the produce has always been more varied and of better quality. Meat in the north was also more plentiful and of better quality, with pork the favorite rather than lamb, as was the case in the south. One product in particular came to characterize northern Greek cuisine: red peppers, both hot and mild. These were pickled or dried and used throughout the cold winters, as in all Balkan countries. A typical seasonal dish of Macedonia and Thrace, then and now, is pickled cabbage with hot red peppers. In the rest of Greece, spicy food was practically unknown and even today remains uncommon. Then, in 1922 after a disastrous military defeat in Asia Minor, Greece was flooded with over a million refugees from across the Aegean Sea who also brought with them their own recipes. The rural populations cooked equivalents of the simple Greek peasant dishes with some variation in the use of spices. Cumin, for example, was first introduced to Greece at this time. Among these refugees, however, were also middle-class city dwellers from Smyrna, a thriving port city, many of whom were well-educated and well-traveled. They had adopted foreign elements into their traditional cuisine. This group was joined later by bourgeois Greeks from Istanbul, whose cooking had been influenced by Ottoman haute cuisine, the sophisticated food of the sultans and their courts. Characteristic of this new imported cuisine was Hunkar beyendi – stewed veal in a sauce of smoked eggplant puréed with butter and milk – a dish that, though greatly valued in Greece, has retained its Turkish name and identity. The great city offered further riches as well. Strategically placed between the Mediterranean and the Black Sea, its markets featured a wide variety of fish and other seafood, both luxury foods (caviar, for example) and common, inexpensive fare, such as mussels, which were fried up on street corners and sold in newspaper cones, or stewed with wine and tomato sauce in a tasty pilaf. In recent times, some gifted chefs in leading restaurants in locations such as Athens, Thessaloniki and the more fashionable islands have created some truly inspired new dishes, often taking advantage of experimental culinary techniques in combination with traditional local recipes. Partly because of the economic crisis, some young people have returned to the countryside and rediscovered heirloom varieties of fruits and vegetables, and traditional organic methods of production. Once again, small family companies are producing terroir-specific cheeses and charcuterie, items that had disappeared from the market. Small farms are raising livestock under natural conditions, without using antibiotics or industrially produced animal feed. Foragers are gathering all kinds of different mushrooms which had been languishing unappreciated in our forests. An increasing number of forgotten ingredients are reappearing in the market and the public is now beginning to expect wholesome, tasty and interesting food. 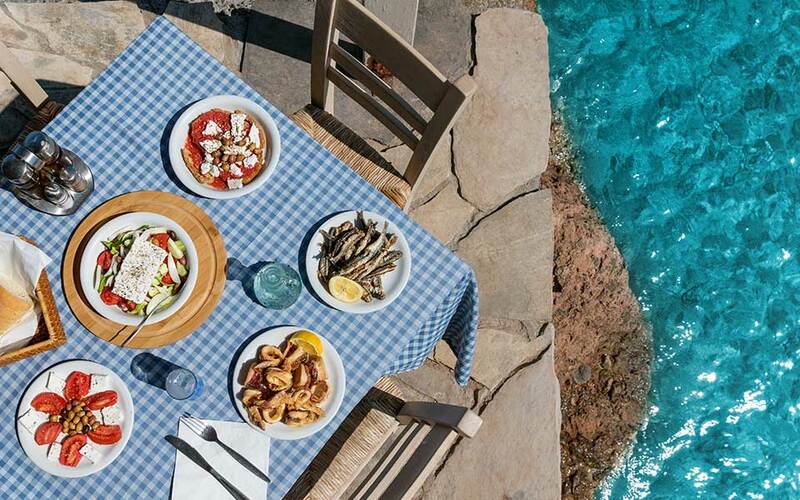 The keyword in Greek cuisine is “simplicity.” A fish is not smothered in sauce; it is grilled whole and served with lemon and olive oil, or poached with vegetables and served in its juices, with fresh sourdough bread for dipping. Meat is either grilled over embers or stewed slowly in tomato sauce or wine, and served with pasta, rice or potatoes fried in olive oil. A salad is made with seasonal greens or vegetables and given a see-through dressing. 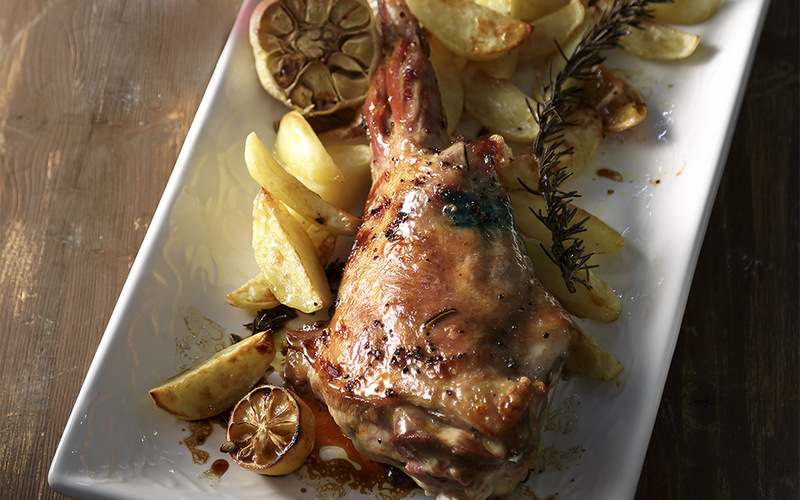 To really enjoy Greek cuisine, make smart choices when dining out. Don’t order moussaka or pizza from a yard-long menu, and be sure to check inside the kitchen to see if it contains more than a freezer and a microwave oven. In the end, it’s important to remember that what’s best in Greece today is what was always best: fresh local ingredients simply prepared. ABOUT THE AUTHOR: Cali Doxiadis lives on the island of Corfu, where she gardens, cooks, reads and writes.